MANILA, Philippines. July 31, 2018 – Riding on back-to-back strong sales performance for the first two consecutive quarters of the year, pioneer compact car distributor Suzuki Philippines (SPH) concludes the first half of 2018 with 6 percent growth in unit sales over the same period last year. Aggressive marketing and expansion initiatives enabled SPH to overcome the challenges that beset the local automotive industry in recent months, foremost of which was the first-phase implementation of the Tax Reform for Acceleration and Inclusion (TRAIN) Law. Despite the 12 percent decline in sales performance for the entire local automotive industry compared with last year, SPH posted 6 percent growth in sales to secure the top 7th rank in the market. The brand penetrated various regions and strengthened its presence in key growth areas, in particular outside the National Capital Region, to extend the successes enjoyed during the first quarter of the year. “The implementation of the TRAIN Law challenged the whole automotive industry, which led us to undertake concrete steps to make sure the Suzuki brand stays relevant and maintain its strong performance,” shared SPH Vice President and General Manager for Automobile Shuzo Hoshikura. “We are humbled to see our hard work paying off, allowing us to close the first half of the year with back-to-back successes. These accomplishments inspire and embolden our team even more to push forward to achieve our goals for the rest of the year,” he added. Top sales drivers Suzuki Philippines is known for quality vehicles that cater to the varying lifestyles and needs of Filipinos. Consistent with their performance during the first quarter of 2018, the Ertiga, Celerio, Vitara and Ciaz drove Suzuki sales in Q2. The four well-loved units combined accounted for more than 70 percent of H1 2018 sales. The 7-seater family vehicle Ertiga remains the top-selling Suzuki vehicle in this year’s lineup with a 33 percent share of sales. Its spacious interior and power and cost efficiency appeal to Filipino families seeking utmost functionality and comfort. Following Ertiga are the two award-winning Suzuki units, Celerio and Vitara, with 14 percent and 13 percent share of sales, respectively. The Celerio hatchback, the Best Value-for-Money awardee in the standard mini category in last year’s Auto Focus People’s Choice Awards (AFMCA), boasts a light compact body that delivers a smooth and efficient drive perfect for city driving. Meanwhile, the Vitara, 2017 CAGI Car of the Year awardee under the Subcompact Crossover Category, offers Filipino drivers enhanced driving and safety features in a stylish design that lets millennials achieve optimum personalization for their vehicle. Ciaz, the best personal com­­muter awardee in last year’s 12th C! Magazine Awards remains a top-selling Suzuki brand. Its elegant design, excellent fuel economy, spacious interior and affordable price enable the car to stand out in the B-segment category, making the subcompact sedan a significant contributor to Suzuki’s sales Intensive expansion initiatives and product launches SPH gears up for even more vigorous marketing and expansion efforts for the rest of the year. More product launches are in the pipeline, as are dealership openings and other marketing strategies, all building up on the achievements of the first half and aimed at further boosting industry presence. SPH introduced to the Philippine market last June two much-awaited Suzuki vehicles, the all-new Dzire and Swift, equipped with improved technology and safety features. The new Dzire brings the latest of Suzuki’s technology, the Auto Gear Shift (AGS), which is a first in the local market. The AGS offers Filipino drivers a manual transmission without a clutch pedal, ready to give the fuel efficiency and drive of manual transmission and the convenience of automatic transmission. The new Swift returns with an edgier look and upgraded engine performance to suit the style and needs of fun-loving millennials. “We are more than grateful to the Filipino market for their warm welcome of the new Dzire and Swift. We can’t wait to see how these two cars will contribute to our sales in the remaining months of the year,” said Hoshikura. “The launch was, in part, made successful by the continued support of our partners who helped generate a loud buzz in the industry. We are thankful, particularly to the media and bankers who participated in the test drive of the new Dzire held a few weeks before the launch.” SPH has inaugurated 4 dealerships so far this year, bringing the total number of Suzuki nationwide dealerships to 71. Now with outlets in key growth areas such as Calamba, Laguna and Calasiao, Pangasinan, the company further strengthens its influence in the market, bringing the Suzuki Way of Life closer to more Filipinos. “We are continuously developing marketing strategies to better serve the market, especially in areas outside Metro Manila. We are hoping to reach more regions in the months to come,” added Hoshikura. For more information about Suzuki Philippines and its automobiles, please visit www.suzuki.com.ph and like them on www.facebook.com/SuzukiAutoPH. 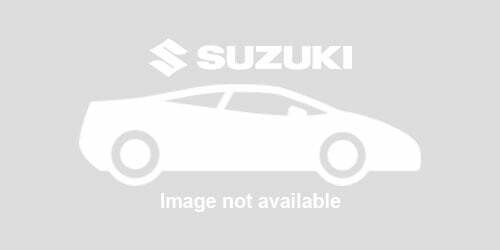 ### About Suzuki Philippines Incorporated Suzuki Philippines Incorporated is a wholly-owned Japanese multinational firm highly recognized in the automotive industry. The company specializes in the manufacture and sale of motorcycle and distribution of compact vehicles. Suzuki has established its reputation worldwide for quality, versatility, and innovation and has created a heritage of trust and reliability. www.suzuki.com.ph.